Ireland's stupendous form in 2018 has been rewarded as they went on to dominate the World Rugby Awards held in Monaco on Sunday. The World ranked number two side went on win 11 out of the 12 games played this year that includes Six Nations Grand Slam, 2-1 series win over Wallabies in Australia along with an unbeaten autumn international campaign where they also went on to defeat the All Blacks 16-9 at Aviva Stadium. Their success this year saw them being named the Team of the Year while playmaker Johnny Sexton was named the Player of the Year. Sexton was influential in Ireland's success as the team went on to win all the games he started and the 33-year-old now becomes the first Irish player to claim the award since Keith Wood won in 2001. This was also the first time in last seven years the award has gone to a player outside the New Zealand side. Rieko Ioane, Beauden Barrett, Malcolm Marx and Faf de Klerk were the other players nominated for the award. "We have some of the best coaches in the world and are led superbly." Meanwhile, Ireland's Joe Schmidt has been named the coach of the year while France's Jessy Tremouliere picked up the women's player of the year award after scoring five tries in her side's Grand Slam winning Six Nations campaign. Following Ireland's game over USA, Schmidt said he will announce the decision on his future with IRFU early this week. 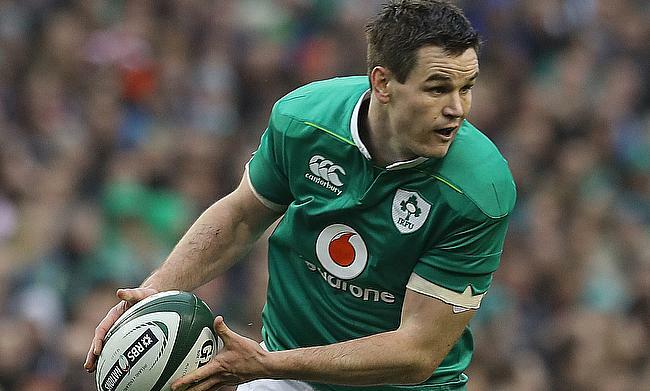 "I'm just incredibly lucky to have the IRFU," Schmidt said. "I've committed to a certain timeframe with them and I've stuck to that. "I've given them an indication and I just need to talk to people tomorrow and that will be made public early next week."